A clipart of a baby superhero. This cute baby wants to be a superhero, he is smiling, happy and love to be like superheroes. 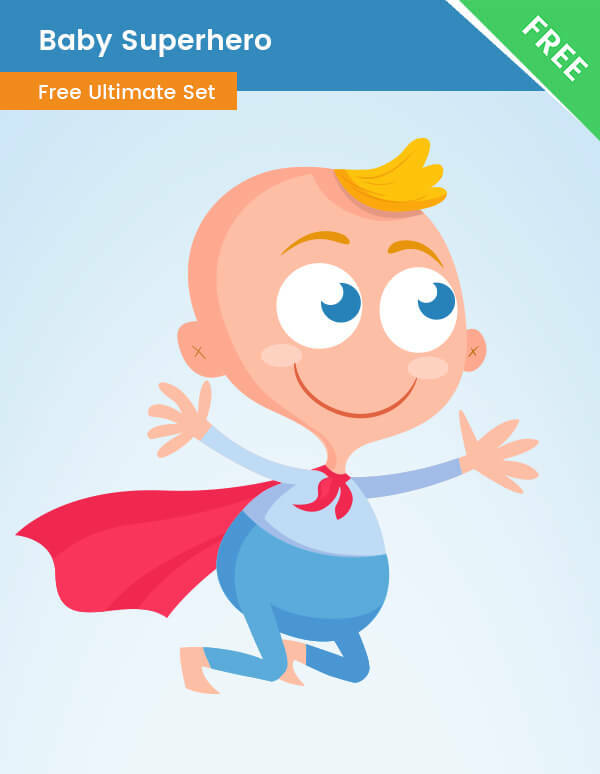 This baby hero clipart is available for free download. Our baby character has a cute small red cape. We’ve made him of vector shapes, which is great if you want to modify the baby or use the clipart in high-quality / print designs. Anyway, if you are not familiar with vector-based software, you can use the included transparent PNG file.